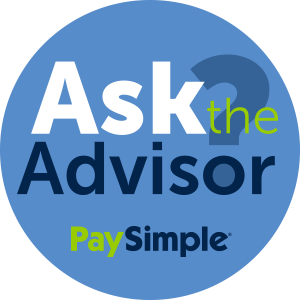 Ask the Advisor is a PaySimple column featuring reader-submitted small business questions answered by our panel of business professionals. If you would like to submit a question, or become a PaySimple business advisor, please read the information at the bottom of this article. This week’s question is answered by the SorinRand Law Firm. The employer/employee relationship is one of the most heavily-regulated relationships in the nation. Those regulations amount to a veritable minefield for employers. Start-ups in desperate need of help but short on cash flow, are particularly vulnerable. Employing unpaid interns to assist in the development of products and services seems like an ideal situation for the cash-strapped business. College students and recent graduates, are eager to gain real-world experience in an exciting new market, such as emerging-growth technologies. Companies enjoy the benefit of having additional hands on deck to accomplish the infinite number of business tasks without utilizing limited financial resources or giving up equity. While this solution seems like a “win-win,” it turns out that using unpaid interns may result in significant cost. Under federal and state law, interns generally are not exempt from minimum wage and overtime obligations. Failure to meet these myriad complex state and federal wage obligations, even unwittingly, can expose the company to significant damages, as well as legal fees and administrative penalties. Your likelihood of a future wage audit also increases dramatically. Before employing an unpaid intern, you need to understand the guidelines provided by both the US Department of Labor and labor agency in the state in which the unpaid intern is going to work. At an absolute minimum, if a worker is not earning school credit for the work you should rethink your position on whether you need to pay the intern. 2. Is This Worker an Employee or an Independent Contractor? Utilizing independent contractors can be a significant benefit to the business owner, since there no obligation to pay the employer’s share of social security and unemployment taxes, nor is there an obligation to provide benefits, such as health insurance. Misclassifying employees as independent contractors, however, can have devastating financial consequences for the business owner, who may face substantial liability for income, social security and unemployment tax, as well as liability for interest and penalties. As with interns, whether the worker is an employee or a contractor depends on an amalgam of federal and state laws. Generally, those laws key in on two key concepts: First, what is the economic relationship between the parties? Is the worker economically dependent on the company or does the worker derive income from a variety of sources? The more reliant the worker is on your company for his or her livelihood, the more likely the government is to classify the person as your employee. Second, who is in control of when and how the work gets done? True contractors have to meet deadlines, of course, but they otherwise determine when and how the work gets done. Alternatively, the more control the employer retains and/or exerts over when and how the person does their job, the more likely it is that the worker will be considered an employee. When making the employee/contractor determination, keep in mind that even an agreement with the worker in which he or she acknowledges contractor status will not save the day (although it does not hurt to have one). The keys are to look at the entire relationship, focusing particularly on the worker’s financial reliance and the degree of control over the work being performed. When viewed that way, the answer as to how to properly classify the worker usually becomes obvious. 3. Do I “Really” Have To Pay Overtime? Perhaps the single biggest misconception in all of employment law is the notion that, if an employee gets paid a salary, he or she is not entitled to overtime. NOT TRUE! While paying a salary is one piece of the puzzle, the bigger piece (and the one many employers miss) focuses on what duties the employee performs. Only employees who get paid a certain minimum salary and perform specific, legally-recognized, duties are exempt from overtime. Federal wage law has over thirty separate overtime exemptions, and it is beyond the scope of this article to explore them all. Generally speaking though, if the employee is not (a) an executive, (b) the head of an office or department, or (c) a doctor, lawyer, accountant, or computer analyst, the employee is probably entitled to overtime. Get a professional opinion before you decide differently. Hiring workers is an integral part of any growing business. Keep these simple tips in mind, and you will go a long way towards avoiding many of the traps that cause other companies trouble. John P. Quirke, Esq. is Partner and Chair of Employment Practices Group and Lindsay M. Sorin, Esq. is an Associate at the SorinRand Law Firm. Do you have a small business question about taxes, legal structure, insurance, social media or general business issues? If so, please email it to newsletter@paysimple.com and we will have one of our advisers answer it for you. If you would like to become one of our small business advisers and answer questions pertaining to your industry, please email your resume and qualifications to newsletter@paysimple.com for consideration.